Albania and Bosnia turned out to be the weakest Western Balkan students this year. Limited progress and continuing political stalemate, which are hampering the reform process, are the conclusions in brief in the European Commission's annual reports on the two countries' progress in the EU integration process. 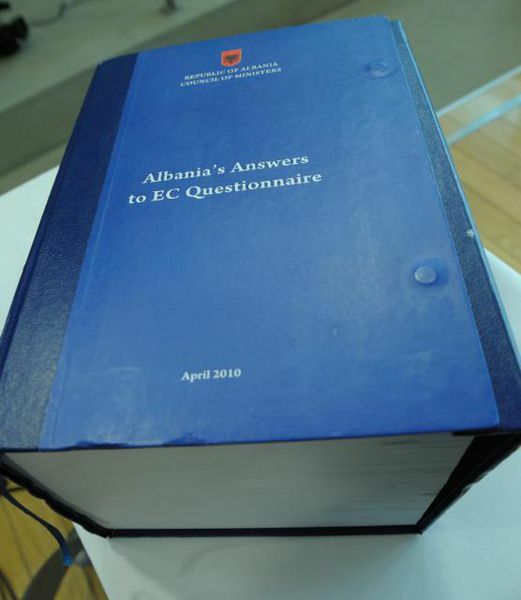 Albania, that applied for membership in April 2009, failed to receive a recommendation for opening of accession talks for a second year in a row (by contrast with Montenegro), and was urged to exert more efforts in meeting the 12 key priorities set by the Commission in 2010. The Commission notes as positive steps in this year's report the government's efforts to set up an action plan to address the recommendations on the priorities. Tirana has also adopted a judicial reform strategy in a move, assessed as a good basis for implementing of reforms in this sector. Progress has been registered in the fight against organised crime and the implementation of the "anti-mafia" law, including confiscation of criminal assets. The fight against corruption though is assessed as limited. 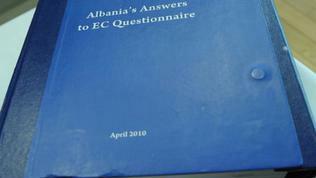 The political stalemate, caused by a parliamentary boycott of the opposition and the confrontation between the government and the opposition, that started with the June 2009 parliamentary elections and went beyond the May local elections, has hampered the implementation of the needed reforms and the passing of key laws, stemming from the EU agenda, the report reads. The opposition ended its boycott on September 5 but the stalemate in the parliamentary work led to limited progress in the implementation of the reforms. Work on electoral reform is stalled. Albania is urged to put more efforts to reform its public administration and to guarantee functional judiciary. EU Enlargement Commissioner Stefan Fuele called on Albanian political parties to resume dialogue and maintain a level of cooperation that will keep the country's EU integration process on track. As largely expected, the Commission report on Bosnia is quite negative. Before its release local media even called it a "stagnation report" instead of a progress report. Progress in Albania may have been limited but the country is at least recognised as a potential EU candidate, while Bosnia is even far from applying for membership. The Commission says that no progress has been registered on the Brussels-set preconditions - passing a law on state aid at central level, passing a law on nation-wide population census and changes to the constitution to scrap discrimination against minorities. The report says that the country is lacking a central-level government for a year already because of local politicians' failure to reach an agreement on power sharing, which affects not only the reforms' pace but the country's economy as well. The Commission deplores the lack of a common vision on the country's future and about the way forward on behalf of some local politicians. Coordination on key European matters is also lacking. The lack of coordination and politicians' stubbornness almost cost the loss of 2011 IPA funding amounting to about 100mn euros. Participants in the negotiations avoided this risk by reaching a last-minute agreement on the projects to be included in the funding list only after Brussels threatened to reallocate the funds. The report assesses as insufficient the efforts to tackle corruption, which remains widespread in the public and private sectors. The critical report on Bosnia was expected considering Brussels' repeated warnings that dialogue and reforms were needed. The only visible success from last year's report till present times is scrapping of visa requirements for Bosnian citizens who are free to travel throughout the Schengen area as of December 2010. Political bickering between politicians, who allegedly defend the rights of the main ethnic groups, leads only to one thing - dragging the EU integration process.